Being a blogger can come with some pretty cool benefits like being invited along to media launches and media previews - this was one I was excited about. Anything fitness, health or wellness related I am completely in for. 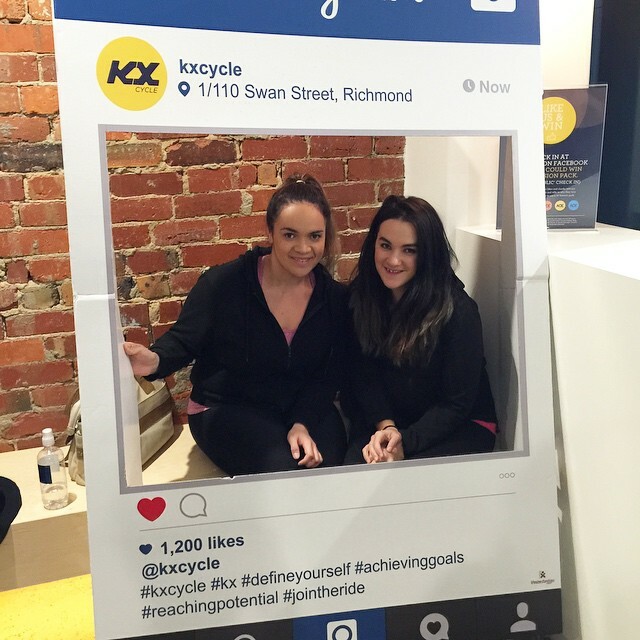 You may remember in an earlier post when I tried out KX Pilates, well this time I was invited to attend the media official opening of KX Cycle in Richmond, Melbourne, thanks to the owners Eli Censor and Ali Rosenberg who have come together for the first KX Cycle studio. The KX Studio in Richmond offer KX Cycle, KX Yoga and KX Pilates. Situated in prime location of Richmond on Level 1, 110 Swan Street. A studio that provides you with everything you need water, towels, lockers, bathroom essentials - the bathrooms are stocked with good branded shampoos, conditioners and hair treatments, deodorants, cotton buds, mouth wash, shavers and more. 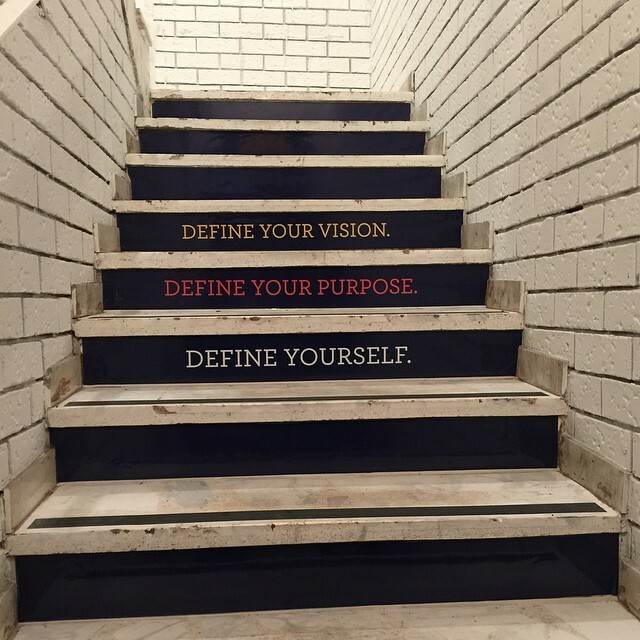 Steps that greet you as you walk into KX studio, Richmond. 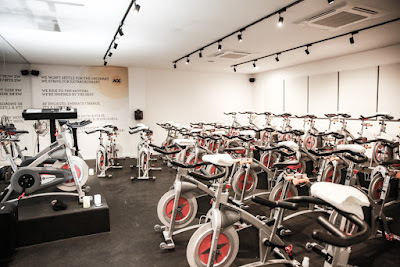 KX Cycle is a not like any cycling/spin class I have been too and the best way to give you the image in your head is those videos you see on Facebook with high energy and moving around on the bike thinking wow that's so awesome, I wish my cycle/spin class was like that. 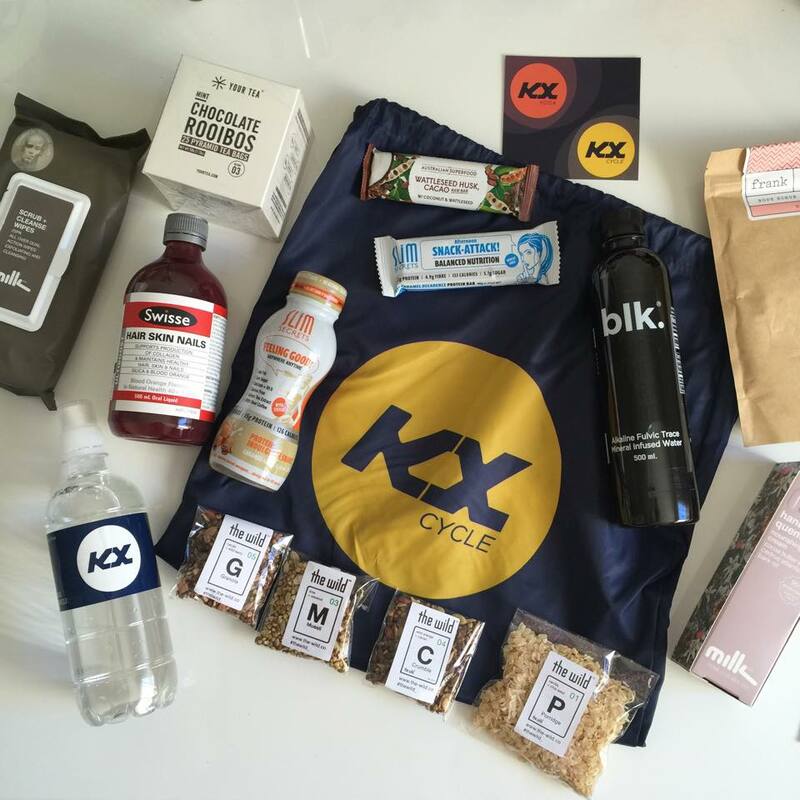 First off KX Cycle provide you with shoes for the class. They are Shimano click in shoes, in which they click into your bike pedals of the state of the art bikes that you will get to use. This is great as you can concentrate more on using the right cycling technique as your feet are not moving around. High energy was a huge presence from the instructors as they are very uplifting with motivation speaking and instructions. There was two instructors up the front taking the class in which I have never seen before, two different styles as well whilst they took turns in taking us through the fast paced yet fun 30 minute class. The class incorporated a full body workout with the use of weights that are underneath your bike set so you can get some upper body and core training in as well for some additional fat blasting. You would have the dumbbells up in the air, pushing up against the handle bars of your bike doing push ups almost and bopping your head along to the pumped up music, with 42 bikes in the classroom you will thrive off of everyone's energy as well as creating your own. After our 30 minute KX Cycle class we went into a 30 minute KX Yoga class that brought us into a nice stretching cool down and to start the morning feeling energized and relaxed. Again two instructors in the class, one that was demonstrating at the front of the room and the other walking around instructing and assisting in correct techniques of poses. The yoga room is lined with mats ready to go and lit up with candles. A real calming environment with warmth as soon as you walk in the doors. 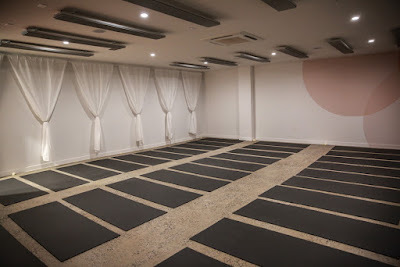 This was the first Yoga class that made me made go 'UMMMMM', first time I have ever tried saying 'ummmm' whilst in Yoga and I did actually find it really relaxing, it was like a release of bad energy that may have been in you and just allowing yourself to fill those spaces with calm, positive and good vibes. 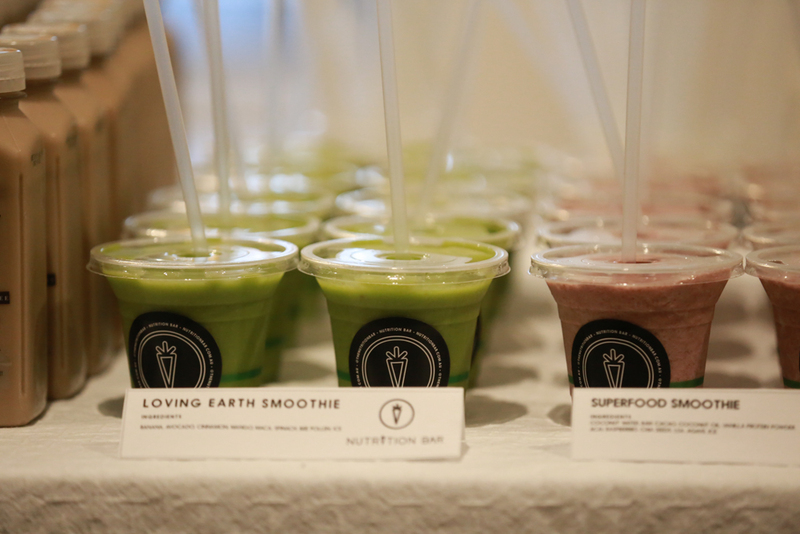 To complete our morning workout and media preview we were then treated to a breakfast compliments to Nutrition Bar with freshly made smoothies, protein balls, chia pudding and more. Also a thank you for the goodie bag we received as well. Goodie Bag from the Media morning - missing W7 Mascara from the shot. 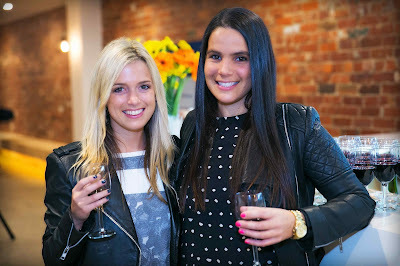 Thank you for having me for the morning workout and then having me back again at night for the celebratory media launch party, in which Alix and I wrongly wore our workout gear to on the night. NJT Blogger is kindly gifted one lucky reader a 2 week pass to the KX Studio in Richmond, I was gifted two of them and would like to give away one to a reader who will put it to use. 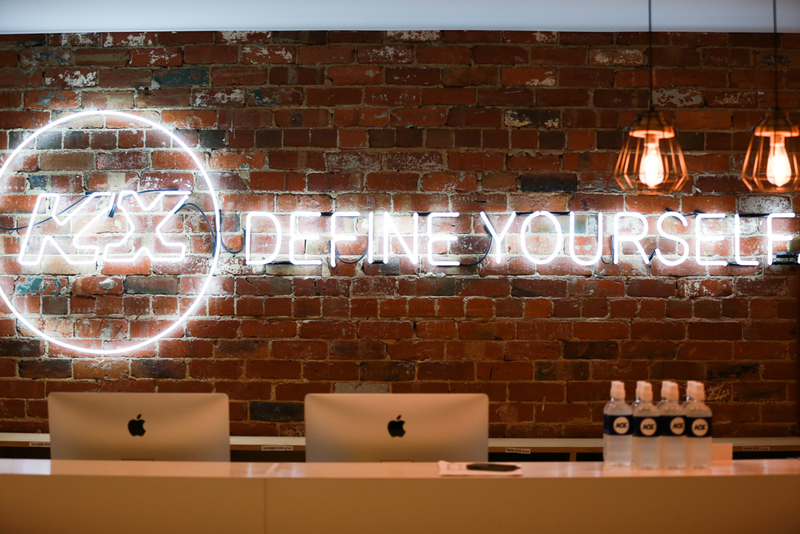 Must be able to attend the studio in Richmond, as this is only valid at the Richmond studio. 2 week pass valid till 30th September, 2015. Bookings are essential to attend classes. Giveaway ends: Wednesday 8th of July, 2015 at midnight. Giveaway drawn/announced: 9th July, 2015. Winners to contact back within 24hrs otherwise redraw may occur. Disclosure: This post is brought to you by KX Cycle. I was invited along to a media preview event and media launch in return for its promotion here. I was kindly gifted 2x 2 weeks free pass to the Richmond studio, in which I am using one as a giveaway prize in this post.. I received no payment for this post and all opinions expressed in this post are entirely my own. *Photos marked with * next to them - have been kindly provided to me for this post.